Women who take antidepressants such as fluoxetine (often marketed as Prozac) during pregnancy may increase their sons’ risk of autism and developmental disability, reports a study published 14 April in Pediatrics. But, like other studies before it, the new results don’t definitively resolve questions about the safety of these drugs. Prozac is a selective serotonin reuptake inhibitor (SSRI), a class of antidepressants prescribed to roughly 4 percent of pregnant women to treat depression and anxiety. The new study examined prenatal use of only SSRIs, such as sertraline (Zoloft) and paroxetine (Paxil). SSRIs can cross the placenta, and it’s possible that exposure to the drugs affects fetal brain development, the researchers say. But so far, no one has been able to prove that this class of antidepressants is harmful to the fetus. A 2011 study of 298 mothers of children diagnosed with autism and 1,507 controls in California, and a study of 4,429 children with autism and 43,277 controls in Sweden last year both found that antidepressant use during pregnancy may slightly increase autism risk in children. However, a Danish study of 655,615 children with autism and 43,277 controls, also published last year, found no link between the two. It’s also unclear whether autism is connected to antidepressants alone or to the women’s underlying depression, which is also a risk factor for autism in children. The new study looked at mother-child pairs from the Childhood Autism Risks from Genetics and the Environment project, which includes more than 1,000 individuals from the general population in California. This study looked in particular at 492 children with autism, 154 with developmental disabilities and 320 typically developing children, all ranging in age from 2 to 5 years. Of the 966 mothers, 48 reported taking an SSRI just before or during pregnancy. Researchers confirmed the children’s autism diagnosis using two of the most sensitive and accurate tools available. The researchers didn’t find any link between antidepressants and autism or developmental disability until they removed the data on girls from the analysis. When they assessed the boys alone, they found that among the 38 boys exposed to the drugs in utero, 25 have autism, 6 have developmental disability and 7 are developing typically. Prenatal exposure to antidepressants is about three times more common among boys in the autism and developmental disability groups than in those developing typically. The greatest risk for autism appears to result from exposure to the drugs during the first trimester. In contrast, the risk of developmental disability seems to peak in the second or third trimester. Because of the small numbers, the results need to be validated in a larger sample, the researchers say. They also caution that the women in the study may not accurately recall when they took SSRIs during their pregnancies. The researchers did not assess the dose of the drugs or the severity of the symptoms. It’s also possible that learning that one’s child has a developmental disability from a prenatal screen may bring on depression, and make it more likely that a woman takes antidepressants. Given that both depression and antidepressant use during pregnancy may increase autism risk in children, doctors should carefully consider how to medicate pregnant women, the researchers say. 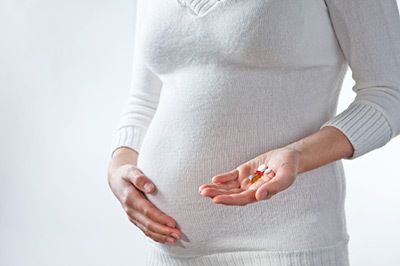 Antidepressants can bring relief to pregnant women who are depressed or anxious, and the benefits may outweigh the minimal risks.